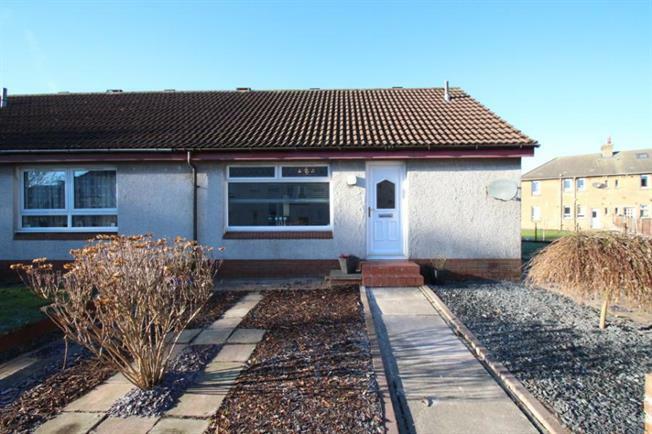 1 Bedroom End of Terrace Bungalow For Sale in Leven for Offers Over £70,000. This stunning end terraced bungalow has recently been renovated to a high standard. The property has received extensive upgrading including re-wiring, central heating, internal doors, skirting, floor coverings etc and is presented in a modern contemporary "show house" condition. Located within an off street situation in Methil and benefitting from double glazing and gas central heating, the property is ideally suited for a first time purchaser, couple or those looking for accommodation over one level. The good sized accommodation comprises of a welcoming and bright entrance hallway, bright front facing lounge with storage cupboard, beautiful fitted kitchen with an array of modern high gloss base and wall units in grey tones with contemporary work surfaces incorporating a breakfast bar and splash backs. The hob, oven and hood are integrated with a fridge freezer and washing machine and there is an external door to rear garden. The double bedroom to the rear has two built-in double mirror door wardrobes fitted with hanging rails and shelves and there is also a useful office/box room with side window which may possibly be utilised as an occasional guest bedroom. The generous sized shower room is fitted with a white suite incorporating a low level, walk-in shower. Externally there are gardens to both front and rear. Both have been chipped/paved/barked for ease of maintenance and the garden to the rear has been enclosed for privacy with a side access gate.